Well a week ago I spent some time trying to clean up the remnants of the summer garden. I always get lazy this time of year and put this off as long as I can. This year I called in my dad and he did most of the work. We took out the tomato plants, basil, tomatillo, and spent squash vines. We chopped them up with clippers and added them to the huge compost pile. I have been battling two mice who decided to live in my compost and then move into some tunnels in my raised bed. I am not sure if the mice made the tunnels or if something bigger did. For now, I disturbed the tunnels to let the mice know they are not welcome. They don’t seem to be making a home in my now open-air compost which is good and I haven’t seen them living in my raised beds lately so perhaps they got the message. Did you know that Sacramento has the most trees per capita than any other city in the world? This is a great thing for gardeners looking to improve their soil. Huge piles of leaves form in the streets waiting for city pick up. 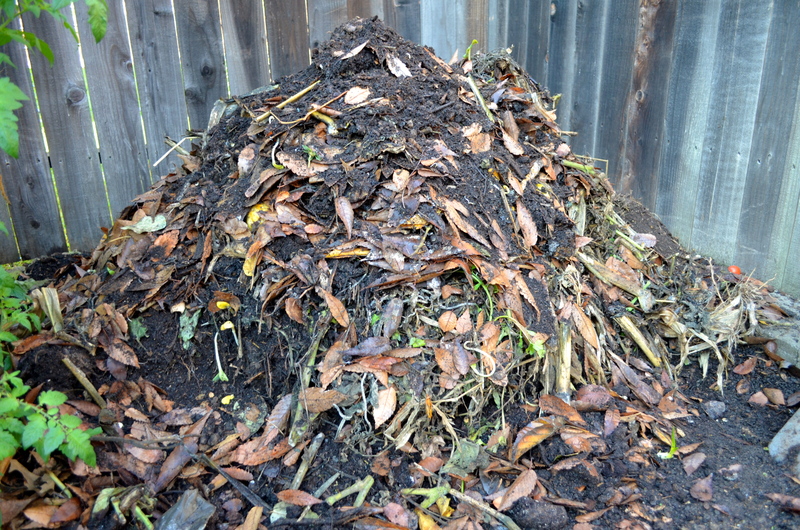 My property doesn’t have any large trees on it so I am lacking in brown materials for my compost. 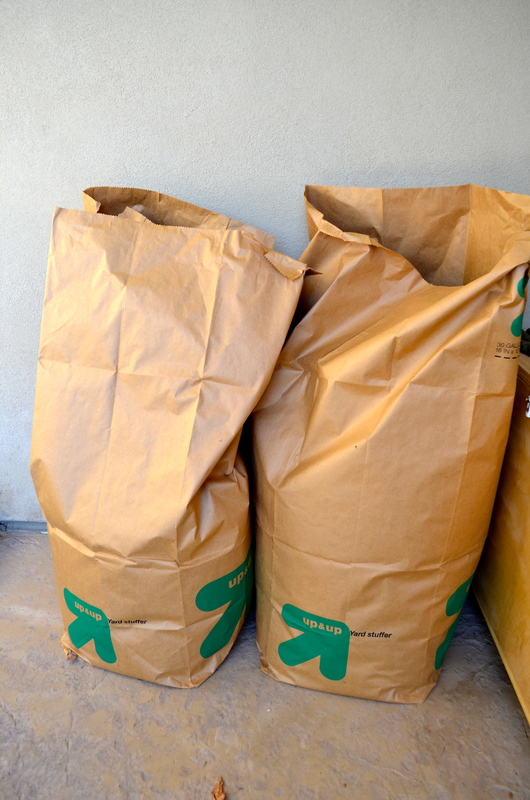 Last week I took two huge bags and helped myself to one of my neighbors piles. The neighbor came out and asked what I was doing… I’m pretty sure she thought I was a bit strange. Free material people! This stuff is gold! Some of the leaves went straight into my compost. Others I spread over my newly cleaned up garden beds. 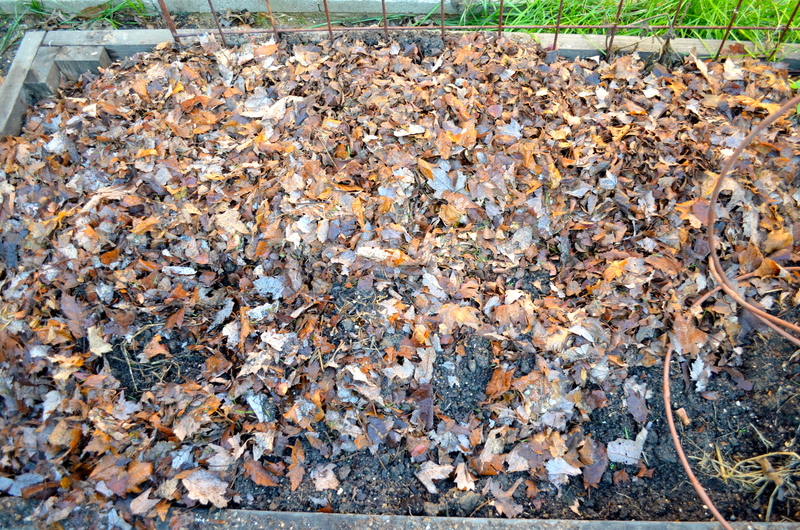 I am hoping that these leaves will decompose straight into the beds in time for spring planting. 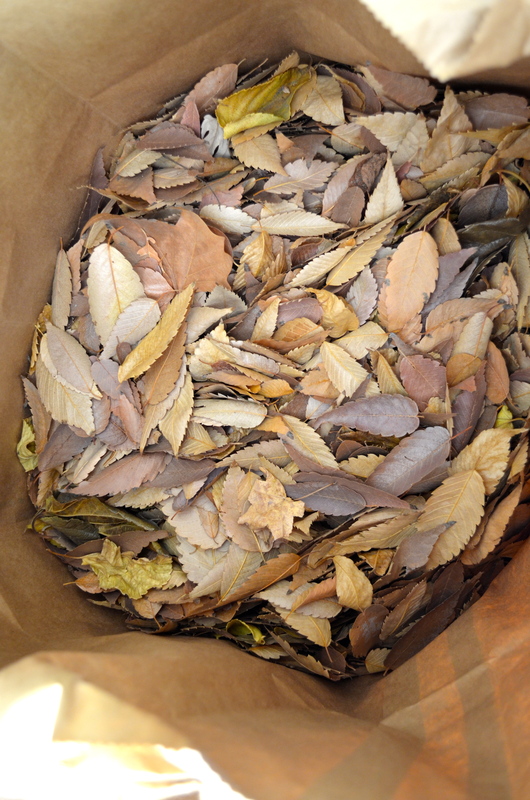 I plan on collecting several more bags of leaves to use in the spring because I tend to run out of brown material for my compost to keep the compost pile happy. I use the brown material to cover freshly added kitchen scraps which will hopefully help discourage the mice. 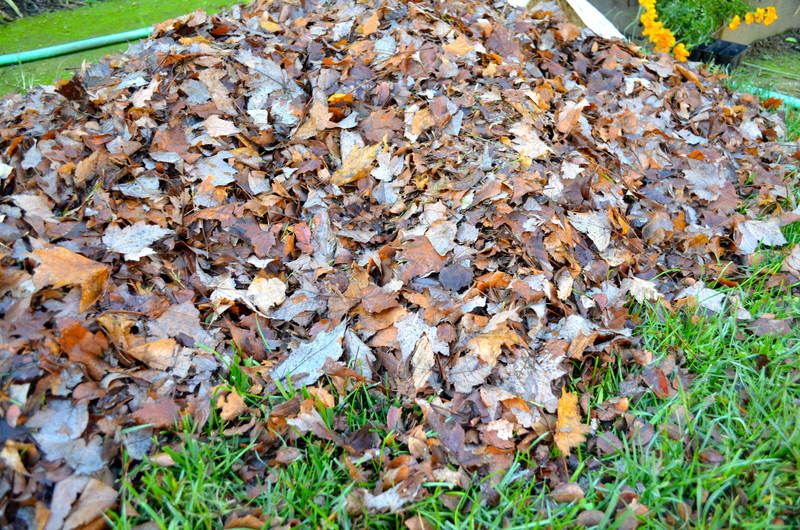 I hope to have enough leaves to make a leaf mold pile as well. Not much is happening in the garden although I did pick the last kabocha winter squash (Hokkori) and the butternut squashes. We roasted these for dinner the other night. 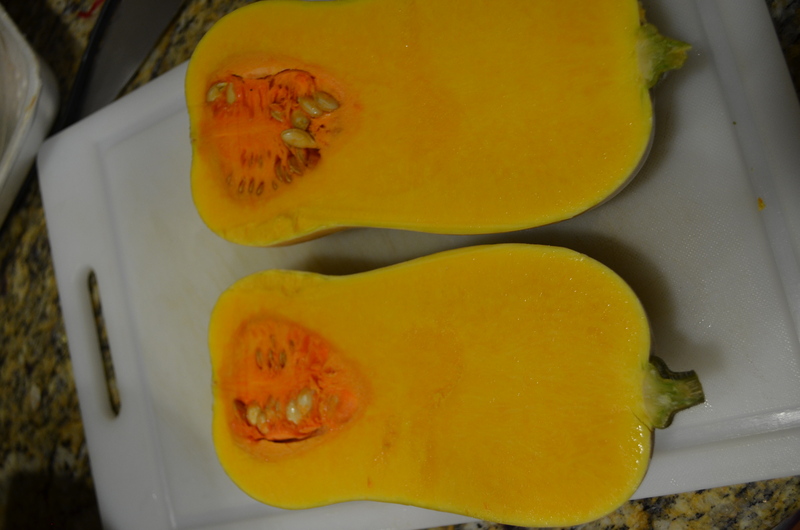 The kabocha was delicious and I will definitely plant this next year. 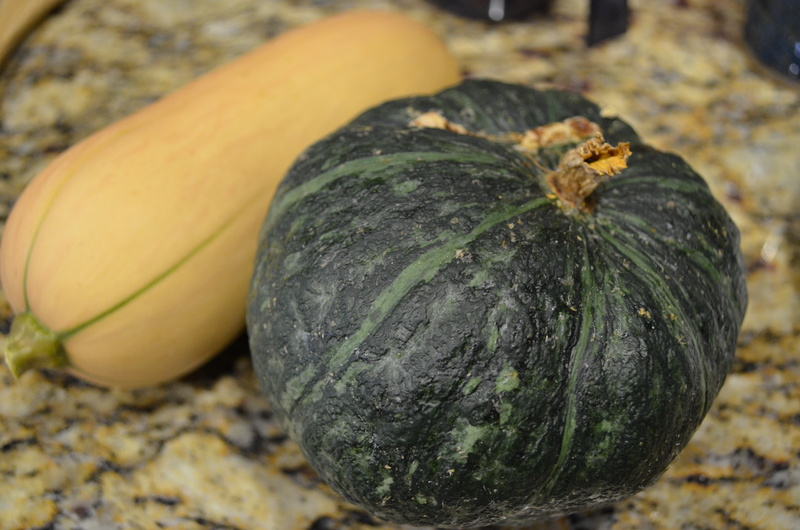 The kabocha yielded a little over 9 pounds and was happy growing out of the compost pile. The butternut was pretty good but several of them split before I picked them so I may experiment with other varieties next year. 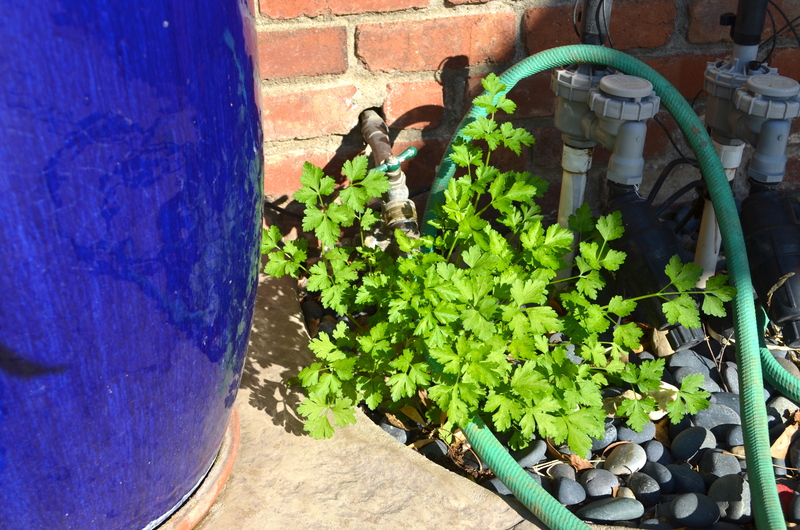 Another little small victory in the garden: In August I threw some Italian Parsley seed below my garden hose faucet. Every time I use the hose (which isn’t very often because of the drought) I noticed that when I turn off the water, some water backfills and leaks right under the spigot. I decided instead of wasting these few drops of water, I could plant something fairly hardy so I chose parsley and look at it today! I have never “intentionally” watered this plant. Also California is in a severe drought so every drop of water counts! 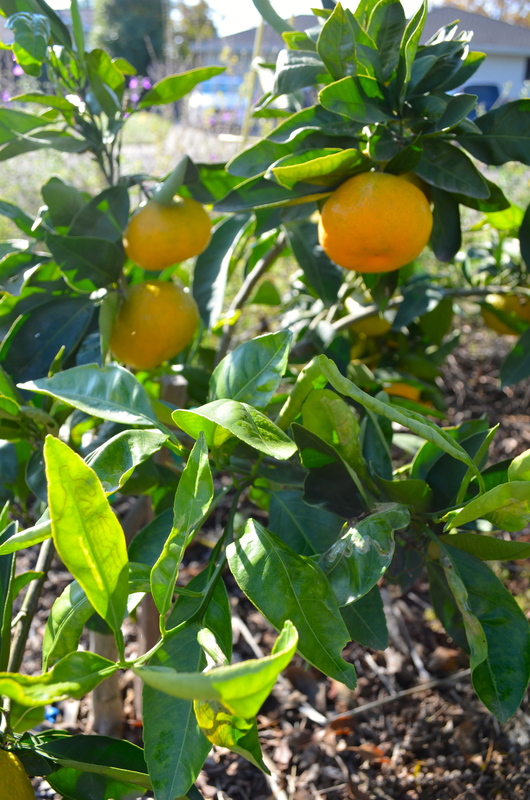 Also in my garden I am anxiously waiting for my Owari Satsuma Mandarins to ripen. This is the second year for this tree and although it is tiny it is pretty heavy with fruit. I had to prop up one branch with a tomato cage just to make sure it wouldn’t’ break off. Hope you are able to eat something from the garden with your loved ones this week! Happy Thanksgiving! Tags: butternut squash, Kabocha, leaves, mice, Satsuma, winter garden | Permalink. 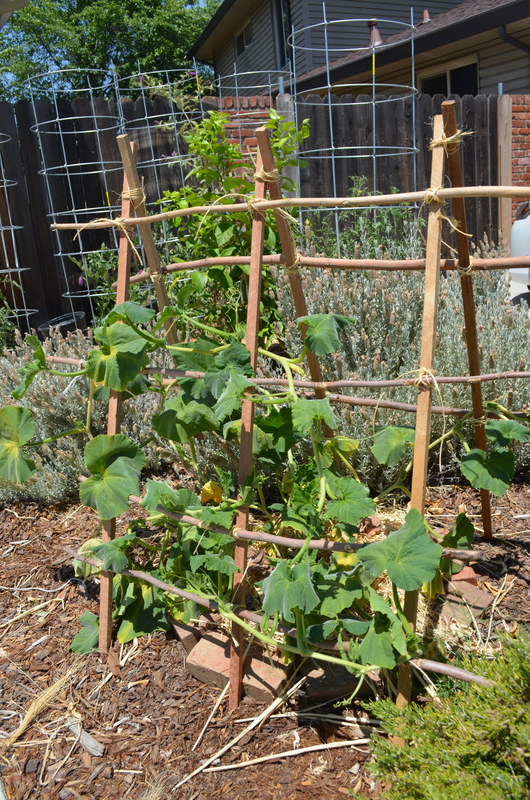 My butternut squash was running all over the place so this weekend I finally got around to making a quick trellis. I just pounded in a few wooden stakes into the ground and tied them together with twine. To make cross beams, I added some dried out Mulberry tree sticks I had collected from my neighbor who trims the trees every year. These sticks have been great around the garden. 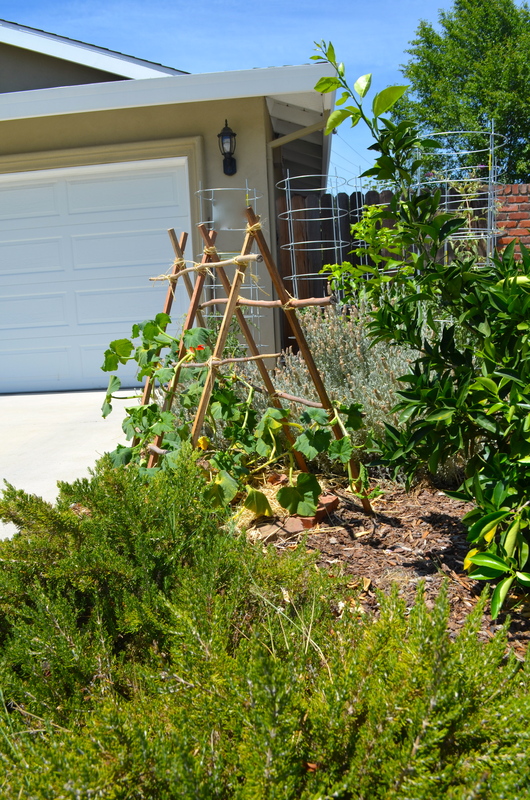 I have made pea trellises with them and also use them to prop up plants. This project took me about 20 minutes. Hopefully my butternut squash will grow happily without taking over my driveway! 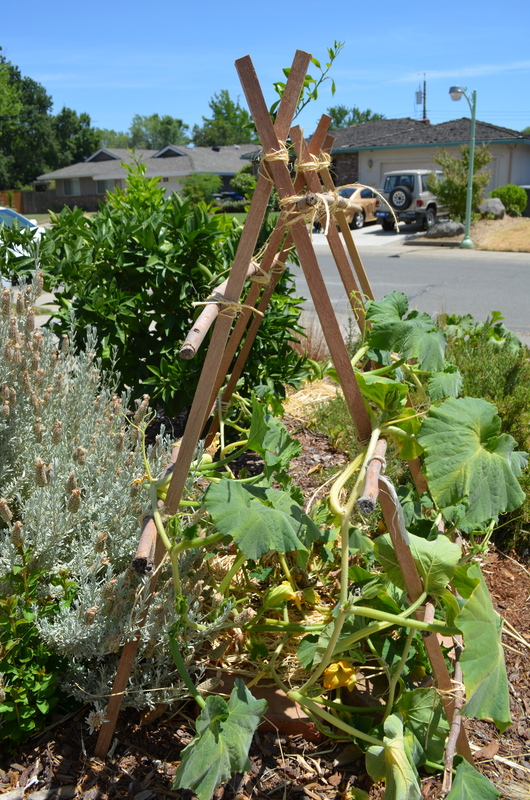 Tags: butternut squash, trellis | Permalink.